If you’re a regular reader of Superfoodly, you already know we are big fans of the walnut. 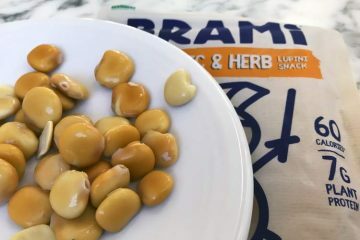 In our side-by-side comparison of the best nuts to eat, out of the eleven, you will see that this one strikes a unique balance between protein and antioxidant content. Usually you’re getting one or the other, but not both. Pecans are the highest antioxidant nut, yet they are the lowest in protein and highest in fat. Peanuts, almonds, and cashews are all good sources of protein, yet they only contain a fraction of the antioxidants found in raw walnuts. Plus, they are lacking the omega 3 advantage. Along with the benefits of pistachios, you could say these two are the healthiest for you to eat. However all of those metrics are based on the English walnut, which is probably the only type you will ever encounter at a grocery store. Might this other variety be even better for you? The eastern black walnut tree (Juglans nigra) is native to eastern North America, while the English walnut (Juglans regia) is native to Southeastern Europe and Central Asia. While both come from the same plant genus, the English is milder in flavor with an easier to crack shell. The black has an strong, earthier taste. Despite the fact that hardly anyone eats them, black walnuts are edible. They are not poisonous or toxic to humans and most livestock. 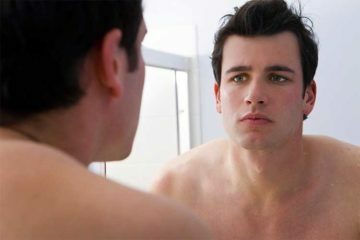 They are adversely affected by a compound called juglone. It’s created by the roots but is found in all parts of the plant to some degree. As far as other pets, it wasn’t until 2016 when the first study was published about dogs. Case reports over an 11-year period were analyzed of dogs who had eaten the nuts, hulls, and/or wood. They experienced symptoms similar to horses, with neurological effects being 400% more likely with wood versus the nut. That would suggest the juglone is responsible, since indeed there’s more in the wood. The juglone from Eastern black also adversely affects other plants, by stunting their growth. You should be cognizant of which species you attempt to grow near them. Some handle it fine, while others are sensitive. This selectively toxic compound is also produced by English walnut and hickory trees, albeit in a lesser amount. You don’t need a hacksaw to cut open the English. A stomp on the ground works just fine! Given its rich heritage and the fact that it’s easier to harvest, it’s no surprise that the English remains the de facto choice for culinary purposes. Plus, it’s only in very recent history as to there being a large swatch of the Westernized society actually preferring bolder flavors, even when they are earthy. That’s different than your grandparent’s generation. As time goes on and more people experience its rich flavor, the black continues to gain popularity. 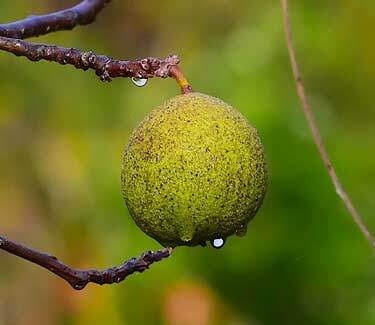 Some call it the Southern California walnut and it’s closely related to the Eastern black walnut. The difference is that the Californian tree grows much shorter; up to 30 feet (9 meters) versus 130 feet (40 meters) for the Eastern. 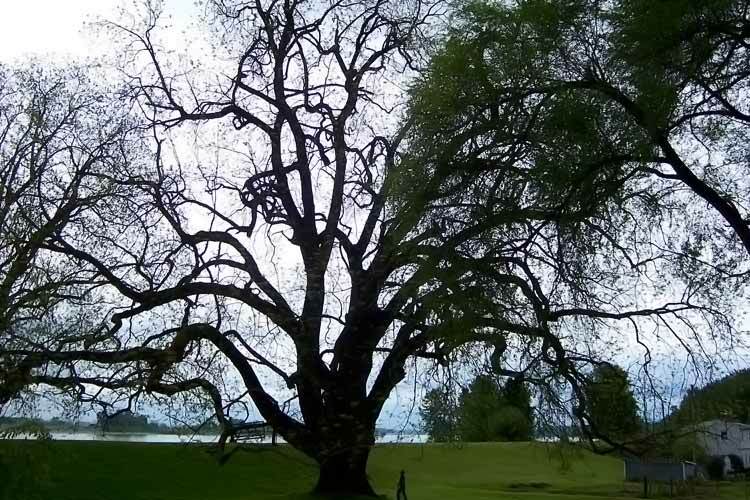 Growing on Sauvie Island, Oregon, this 300 year-old J. nigra tree stands at 115 feet. That’s about 4x how tall the J. californica can reach. It may not win for height, but most would agree it wins for taste. Yes, their nuts are edible too. The flavor is slightly sweeter and less earthy than what the big brother provides. Unfortunately today, no farmers commercially cultivate this delicious nut. If you want to know where to buy them, you better know someone who grows them in their backyard! 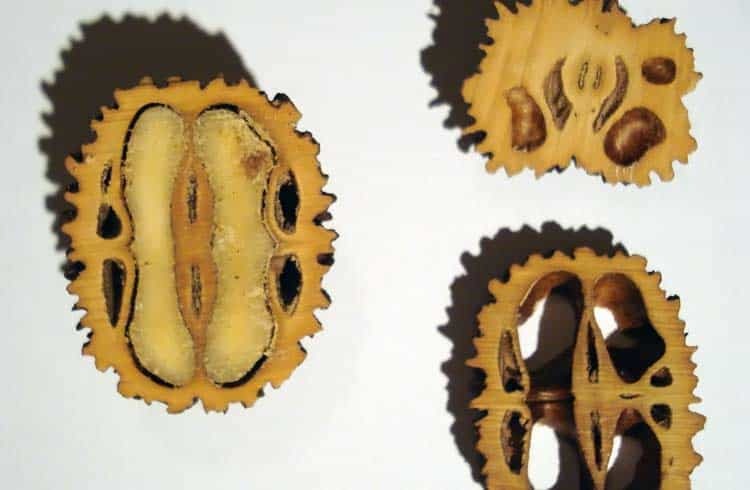 The nuts of both the J. californica and J. nigra are encased in hard shells, just like English. This shell is different than the green husks or hulls which cover them. Most people never encounter these hulls, because even when you buy nuts in their shells, they have already been removed. All you see is the hard shell. With both the California and Eastern, the edible nut you eat is not actually black. Their name comes from the dark color of the tree bark. Even though the nuts themselves are not black, the film of skin that covers them is often darker (more pigmented) than the English variety. As with any refined oil, you can expect 120-130 calories per tablespoon. Virtually all of the calories will be coming from fats. In the case of black walnut oil, the fat profile is healthier than many others. One thing to be aware of is the low smoke point of black walnut oil. Hammon’s label lists the smoke point as 350°F (177°C). That’s a medium smoke point which isn’t good for pan frying or roasting in the oven. The best way to use the oil is after cooking, such as for making salad dressings and marinades. As you see, even the regular white walnuts are almost number one. 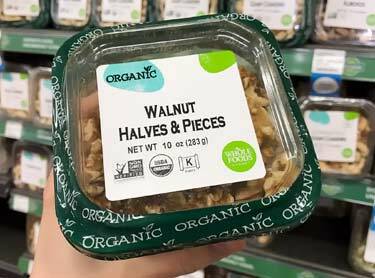 Sure, they lose out to pecans, but consider the difference in protein content; English walnuts have 67% more. Even better are black walnuts, with 167% more protein than pecans! So how does their ORAC value compare? No one has tested this American variety, which makes doing an apples-to-apples impossible. Other published data hints that the antioxidants in Eastern black walnuts are at least equal to and possibly greater than English. While neither has “high” amounts of vitamin E, the black has 400% more. What’s interesting is that very little of it is in the α-tocopherol form, which is the type used in vitamin E supplements. A quarter cup contains around 2,500 mg of omega 3 in the form of alpha-linolenic acid (ALA). While this isn’t the best form, our bodies can convert it to DHA and EPA, which is same kind found in fish. But unlike fish, you don’t have to worry about heavy metals such as mercury. 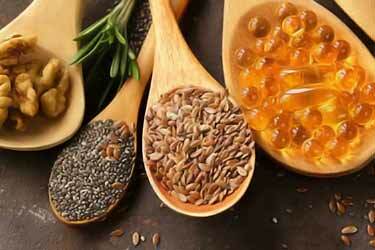 Flax is another potent seed/nut source of omega 3 but not a good one in our opinion. Flaxseed side effects include being the highest phytoestrogen food; 268% more than even raw soybeans. With walnuts, you don’t have to worry about this. 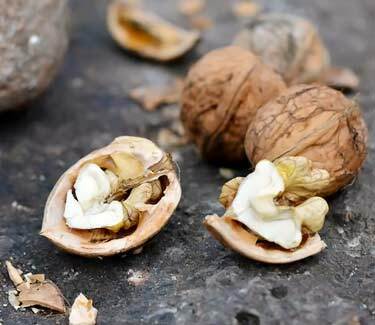 Raw, organic black walnut oil would be the most concentrated source of omega 3’s from this nut, though it may not be the best way to get it. Why? 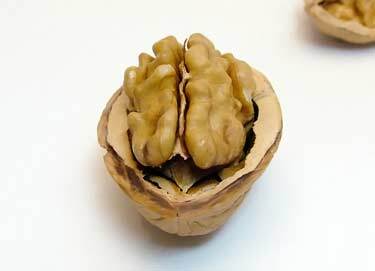 Because omega 3 oxidizes quite easily and so do the other fats in walnuts. When you refine them and extract the oil, it goes rancid quickly. Light, air, and time elapsing will degrade it. The benefit of eating the whole nut is that it’s in the natural, unrefined form. This preserves the omega 3 relatively well, assuming the nuts have been stored in air-tight packaging. Plus, finding the raw walnut oil is nearly impossible. A couple brands sell oils made from the roasted nuts, but that heat will have oxidized and destroyed much of the omega 3 content. As mentioned above, the black have significantly higher amounts of juglone, which is the compound toxic to horses and possibly dogs, but poses no known harm to humans. It may seem unusual that a university in Nigeria would conduct a test using the Juglans nigra from the United States, but this plant is gaining fanfare worldwide. They poisoned rats using arsenic contaminated water. Some were also given black walnuts. The black contain less saturated fat and more monounsaturated fats (MUFA) than English. There’s less polyunsaturated (PUFAs) but the amount is still higher than most other nuts. If you don’t understand that, don’t worry. The point is that this fatty acid profile is desirable. For all of us and particularly for diabetics. Then of course there’s the basic nutrition fact that walnuts are almost sugar free, with less than 1 gram per ounce. They’re a very low glycemic food. They even look like a brain. Is it just a coincidence? 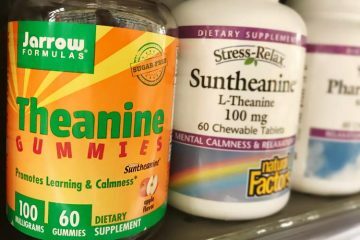 The omega 3, vitamin E, folate, and phenolic compounds have all been linked to brain health by several mechanisms; positive gene expression, support of plasticity, and reduction of oxidative stress. 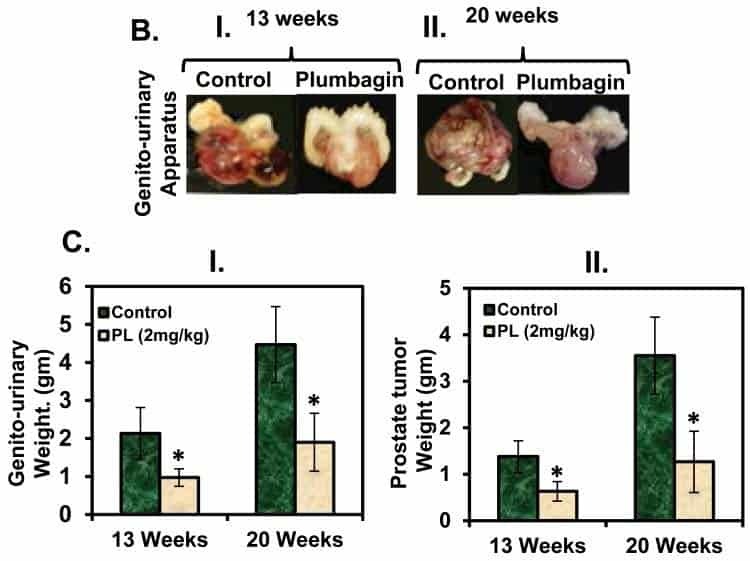 Lower amounts of tumor necrosis-alpha (TNF-a) have also been observed in rats, which suggests that the nuts are having an anti-inflammatory effect. Alzheimer’s diseases, dementia, and other neurodegenerative diseases haven’t been specifically studied, but these effects seen in animal research would also be beneficial for human brains, regardless of whether or not one has a brain disease. Allergic reactions can include symptoms of itchiness/swelling of the mouth, throat, eyes, and skin, difficulty breathing, and anaphylaxis. Stomach aches, nausea, and vomiting due to the tannin content of walnuts. Abnormal stools for people who have difficulty digesting fatty foods. Weight gain if consumed in excess. Drug interactions by interfering with the absorption of thyroid drugs, such as levothyroxine. Unknown safety while pregnant or breastfeeding. These adverse reactions are common with numerous foods and are not specific to any unique compounds in black walnuts. The English variety are believed to be safe during pregnancy when eaten in moderation. There’s very little circumstantial evidence on pregnant women eating the black variety, however there’s no reason currently to suspect they’re dangerous when eaten in normal serving sizes. Whole Foods sells these delicious organic English, but unfortunately we have never seen them carry the Eastern or Californian black. If there’s one thing to dislike about them, it’s their poor availability! 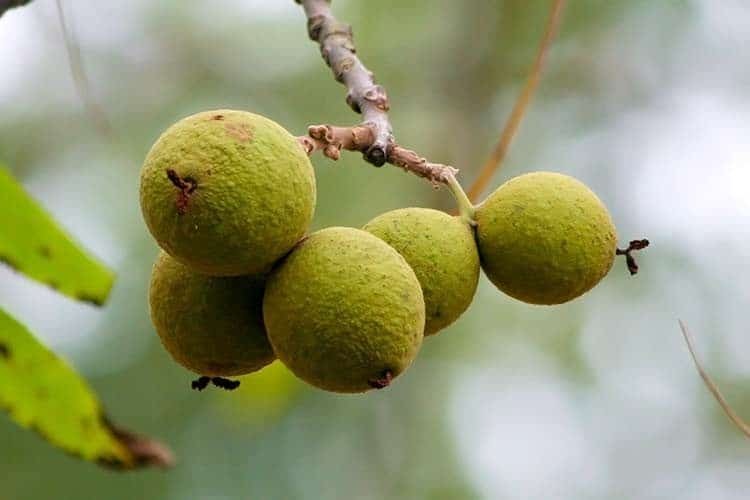 Where are black walnuts for sale near me? They’re very difficult to find. 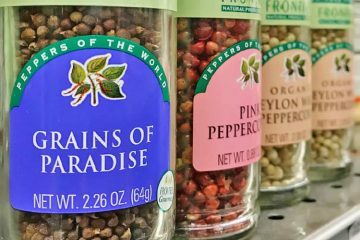 Even at specialty grocers like Whole Foods and Sprouts, we have never encountered them. At Ralphs, which is Kroger here in California, they have been sold on occasion at some of the more upscale locations. If and when available, they sell the brand Hammons in a bag. It’s typically placed in the produce section rather than the nut and seed aisle. If you happen to live in Missouri, you may have a better chance finding Hammons. That’s where they’re based and it’s the bestselling brand. Elsewhere in the country, you may find their black walnuts for sale at Walmart, Costco, Sam’s Club, and Harris Teeter. 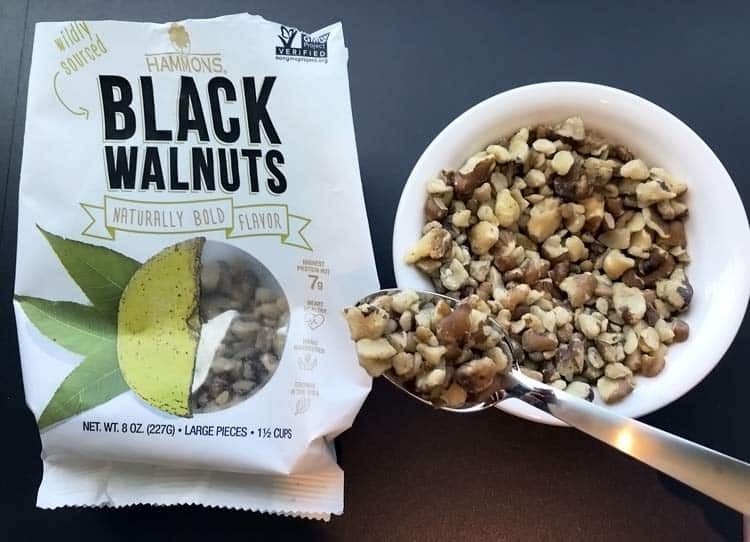 In addition to finding Hammons at Walmart, some locations sell black walnuts by Fisher, Diamond, and Nature’s Eats in a 2 oz. bag. None of these brands are USDA certified organic but that shouldn’t concern you too much. These are hardy trees and most crops come from wild harvested sources. Basically, folks are hired to forage the forests for them when in-season. As such, the risk of pesticide residue is very minimal. While not certified organic, all of these walnut trees are non-GMO. We hear in Ontario, Canada the black variety is somewhat popular and easier to find at stores. If you’re overseas in the UK, Australia, or elsewhere, you almost certainly will need to order them online. 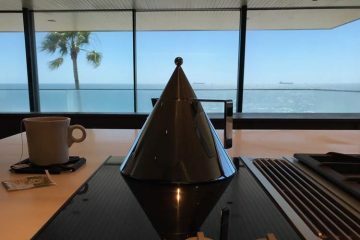 We busted out this bowl for a photo, here at our office in Manhattan Beach, California. 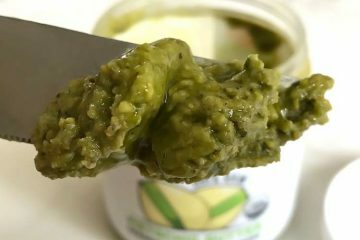 Our reviews of Hammons are always positive – a delicious flavor and they taste fresh, not rancid like some other sources. We sprinkle them on salads, breakfast foods, acai bowls, ice cream. You name it, the combo probably works! On Amazon, try Hammons 8 oz or 24 oz bag. The latter is an excellent value. Uses of black walnut supplements are another option. The brands Nature’s Way, Nature’s Answer, NOW Foods, and a few others sell liquid extracts and capsules containing black walnut hulls or husks. Remember those are the outer green shells which are normally not edible. They’re too hard and chewy. Yet in a powdered supplement form, they’re easier to digest and offer significantly higher antioxidant content than the nut. Compared to the black walnut hull capsules, we find it’s a better value to simply buy the hull powder in bulk. It’s organic too, from Starwest Botanicals. It will be low in antioxidants but the refined oils of this nut have an attractive fatty acid profile. 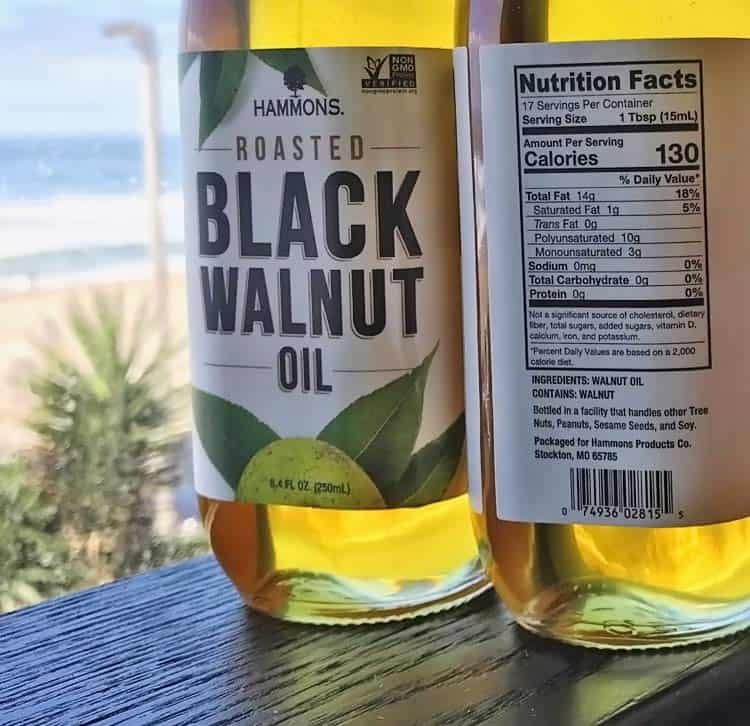 Hammons sells a black walnut oil that you can get on Amazon but know that it’s made using roasted nuts. High-heat like that degrades omega 3 and some other phytonutrients. Ultimately, whatever form you fancy, it’s an underappreciated American superfood that deserves a place in your diet. Even more so than almonds, cashews, peanuts, and the English walnut. Use for baking and in recipes, or just eat them plain as a healthy protein-rich and omega-3 packed snack. Here in the southeast, you can get Hammons black walnuts even at Food Lion (in the baking supplies area). 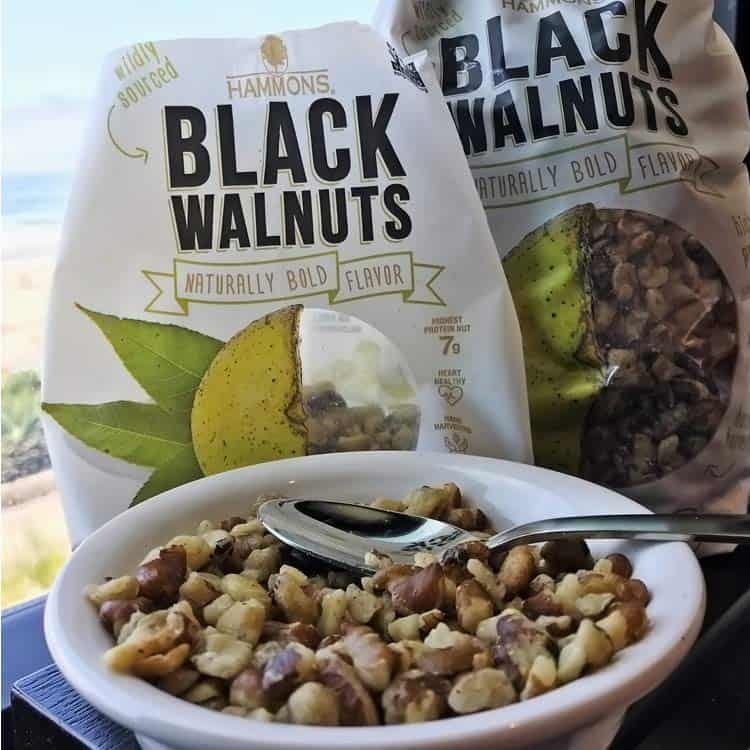 Whatever the theoretical benefits of black vs. English walnuts, the Hammons black walnuts seem fresher than the Diamond English walnuts. The latter are aggressively dried to the point where the shell allows air inside. Many years ago I read that raw sprouted nuts were a significant component of the diet of instinctive eaters. Ever since, I have wished that grocery stores would stock sprouted tree nuts. “landscaping” outfits over the years and property owners consider the wood valuable, but not the nuts. I say far from popular as I have never seen the nuts for sale, even at farmers markets, I personally harvest my own from very special selected trees over years but I have never sold. I would be the only person I know of who actually harvests them in this area. I have a feeling it will be a ‘faddish’ trend for the people in the area.. who get into gardening and other outdoor hobbies like they do their diets .. (changing channels) .. but it won’t go much further than you know the type.. hipster / granola types who have good intentions but are lacking long term dedications. I’ve seen it happen with so many of my life long interests like study of mycology, astrology, holistic food prep, ect. It’s simply too much work for most people. And too dirty. It takes a certain patience to harvest and find good trees. Every single tree produces slightly different nuts some totally garbage and some the crown jewel of ‘buttery’ mix of flavor with the slight fresh pine iodine hit which does wonders for the soul. You’ll make the squirrels jealous !